Hats are made from a wide variety of materials depending on the quality of the hat and its purpose. 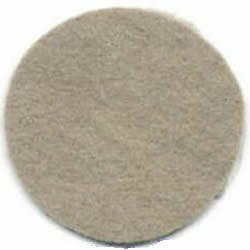 Felt is a non-woven cloth that is produced by matting, condensing and pressing woollen or fur fibres. The fibres used for hat making are from the soft downy under fur and so hat making felt is very soft compared to the tougher felts used for construction materials. Felt can be made any colour, and formed into any shape or size. A high quality felt made from sheep’s wool generally for less expensive hats. A very high quality felt made from rabbit fur. A very high quality felt made from muskrat fur. A very high quality felt made from nutria (coypu) fur used for some of the best hats. An extremely high quality felt made from beaver fur used for the best hats. Fine, high quality natural straw made from sisal, bleached or dyed to colour, comes in grades from one to five. Normally reserved for expensive hats. Delicate in texture but resilient in wear, takes dye well. Parasisal is made using two over two weave. Same as Parasisal but using a one over one weave, less popular than parasisal and just a little coarser. Originating from Japan, it is one of the few man made straw materials to be used for the weaving of hoods. It is often used for mass production hats as it is easily dyed and blocked, similar in appearance to parasisal but it is coarser. This straw softens easily and does not like to be mistreated, normally considered as a one season hat. Classic and very cool to wear, resilient to crushing and often used for men’s hats, Panama straw comes the Toquilla Straw plant Carludovica palmata from Ecuador. All the best top quality hats will be made from this plant. In recent years however, Chinese bleached palm fibre is increasingly used to emulate the original and lower grade Panamas may be made from this material. Normally a bleached finish, however it can be dyed to pastel colours. Stiff thick straw with a green colouring, normally left in its natural form, again cool to look at and wear. Smells of cut grass. This straw is thick and coarse and although can be dyed to colour, is usually seen in its natural colour, golden brown. It is often used to make cheaper hats, it is hard wearing and if stiffened, hard to the touch, it has the smell of corn. This straw is easy to shape and difficult to sew. Similar to double wheat, made from the same basic straw but the strands are flatter, also used for cheaper hats and dyed to colour. Both single and double wheat straws are natural. Popular straw coming in a number of forms including, natural, skin of xian, twisted xian (seagrass) and bleached. Often associated with beach or holiday hats this useful straw can also be stiffened and be used in the production of mid quality hats. 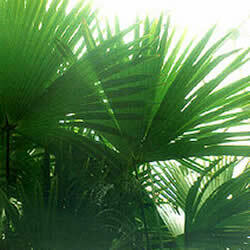 In its natural condition it is soft and has an irregular light brown colour with a smell of paper, a natural straw. Hood woven with a natural material similar to thick string. It is loosely woven and naturally soft, it has to be varnished heavily in order to keep its shape after blocking. When made into a hat it is light and cool to wear and allows air to pass easily through the weave. It can be dyed but colours are pastel in shade. Woven from Japanese Toyo paper. Normally seen in cream or white although sometimes dyed. Sold as a simple blocked shape this straw can be rolled and packed without damage, ideal for use as a sun or holiday hat. Comes as a flat sheet or loosely woven hoods, made from Abaca fibre Musa textilis. Both types need stiffening before it can be blocked. Sheet sinamay hats are made from a number of layers and are blocked using the same method as fabric covered hats, woven hoods are blocked using traditional metal pans. A straw from Madagascar is widely use for the production of budget hats. Heavy to look at it is a casual straw and much used for beach hats. Heavy Buckram is used to make buckram hat frames. Theatrical or Double Buckram is used to make Theatrical Hat Frames for theatres that are heavier to withstand repeat use in plays or films. Medium Buckram is used in curtain making. Millinery Buckram is different from bookbinding buckram. It is impregnated with a starch, which allows it to be softened in water, pulled over a hat block, and left to dry into a hard shape. White Buckram is most commonly used in hatmaking, though black is available as well. Millinery buckram comes in three weights: baby buckram (often used for children’s and dolls’ hats), single-ply buckram, and Double Buckram also known as ‘Theatrical Crown’.